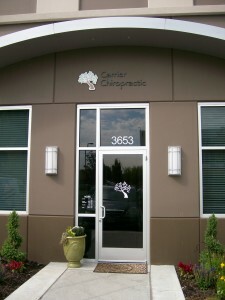 As a Chiropractor in Hillsboro, I built Carrier Chiropractic in the summer of 2008. My wife and I have lived in the area since 1997 and by that time the Beaverton – Hillsboro area just felt like our home. We felt very fortunate to be in a position where we could really build a business wherever we wanted. We traveled around to different states and cities within Oregon, but felt like we had already found our perfect spot right where we were… in Hillsboro. My vision for Carrier Chiropractic is to help people feel their best. I always tell people that if you don’t come and see me, be sure you're seeing some other chiropractor. I know that Chiropractic services are right for every “body.” No matter who you are or what age you are, it’s for everyone. As a chiropractor, I hope to help people achieve natural healing and better health. New patients come in all the time that have never been to a Chiropractor before. They have no idea what it is that I do, but they are looking for relief they haven’t received from their prescriptions. I want to educate people on how chiropractic can relieve stress/tension, help circulation, improve posture, restore normal mobility, improve immunity, slow the aging process and really makes you feel great! The patients that get the best results are those that haves the desire to be healthier. I strongly promote things that you can do at home to make you feel better. I love it when people come in and ask questions about their health. I want people to feel empowered about their health. Contact Carrier Chiropractic now to schedule an appointment.